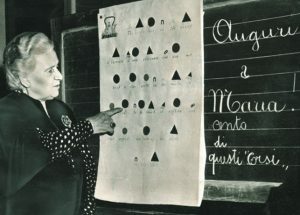 The inspiration for the Montessori Method of education comes from Dr Maria Montessori (1870-1952) who was a pioneer of child-centered education. She became the first woman to qualify as a medical doctor in Italy and it is her scientific background which underpins much of the teaching philosophy. Like many nineteenth century women of her class, she felt social responsibility for the poor and supported them far beyond the duty expected of a doctor. In 1897 she was asked to visit Rome’s asylums and became intrigued with trying to educate the poor and mentally disadvantaged children who were thought to be ‘unteachable’. Her first notable success was to have several of her ‘unteachable’ students pass the State exams for reading and writing with above average scores. These mentally disadvantaged children made her wonder in awe at the untapped potential she might be able to discover in normal children. being capable of learning to read and write. Montessori believed that these characteristics represented the potential of humanity. She advocated that all children should be given the opportunity to ‘reveal themselves’ in a developmentally appropriate environment that would facilitate their natural growth and development. The favourable environment forms one of the key links in the triangle of components at the heart of the Montessori Method. The other two links being the child and the teacher. Q. What is the Montessori Method? Montessori recognises and celebrates the unique individuality of each child and the potential that they hold within themselves. She urges adults to demonstrate trust in the child’s ability to learn and absorb the environment and culture in which they grow up, and so become an adult. She saw the child as a possible agent in affecting social change in the world at large. Fundamental to the Montessori approach is the belief that a child’s early years-from birth to six years are the period when they have the greatest capacity to learn and the greatest appetite for knowledge. What happens to a child during these critical years lays the foundations for the future. Montessori saw the environment as a key factor in children’s spontaneous learning. The child is viewed as an active agent of this environment, and the teacher as the facilitator of the child’s learning and development. Montessori’s specifically designed equipment and materials are central to the philosophy. There are specific learning tools for each core area of learning, created to help children develop essential physical, cognitive, linguistic and social skills. 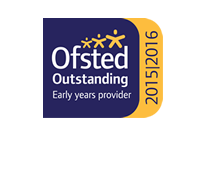 The Montessori classroom is a ‘prepared environment’ consciously designed to support the child’s developmental needs. Everything within the setting reflects a commitment to quality and to the children’s ability to do things for themselves. It is by doing things for themselves and feeling the joy of achievement that children acquire knowledge and develop new skills. The design is expressed in the quality and accessibility of all materials-children rarely need to ask if they can get something. 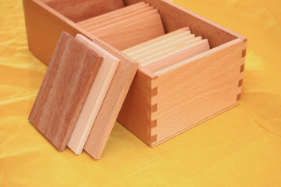 Montessori materials are carefully designed to provide children with a step-by-step understanding of complex abstract concepts through the use of concrete examples- such as the physical shape of letters to the structure of the decimal system. The children themselves are encouraged to participate in replenishing supplies, correcting their own mistakes, cleaning up after themselves and maintaining the ordered setting that is the foundation of the Montessori approach. The materials themselves have been refined and perfected since Maria Montessori’s time and form part of a structured approach to learning and the acquisition of skills that allows the children to dictate the pace of advance as their understanding builds. between the child and its environment. Montessori teachers seek to guide rather than control. They are not there to impart knowledge or stuff the child with data, but to provide opportunities for learning and to present the best possible environment to achieve this. The range of learning and experience found within a Montessori setting is broader than the state prescribed curriculum. Focus is on the 6 core areas of learning: Practical Life; Sensorial; Mathematics; Cultural and Creative Activity. Learning is invited rather than imposed; encouraged rather than enforced. Equally, the emphasis is on giving the child the chance to progress at their own speed, rather than driving towards rapid advance, early achievement or any other fixed and premeditated goals. Freed from tests, benchmarks and competitive pressures children tend to excel, driven by their own thirst for knowledge. Self discipline is an important teaching within the approach to learning. Children enjoy enormous freedom to choose within the limits of the prepared environment. Poor or disruptive behaviour is discouraged through the reinforcement of positive behaviour and respect for the space, work and concentration of other children in the classroom. Montessori Teachers are skilled interpreters of child behaviour constantly refining their observational skills and teaching strategies as well as developing their understanding of how children develop and learn because each child is ultimately unique. Montessori teachers distinguish themselves by forming a close partnership with the family of the child. Montessori herself recognised that both the nursery and the home have to share the values of ‘following the child.’ Montessori teachers are committed to continuous learning, as teaching is also a process of learning.